OK, so this particular bridge is fascinating to me. Not so much the story surrounding it because, to be honest, there’s not much to go on. But there’s clearly more to this story than meets the eye…and the universe clearly wants the story told. You see, as fate would have it, just before I was getting ready to publish the Hyde Road story, a blog reader, Lori Lotts, left a comment on the Ohio Crybaby Bridge Project home page. She asked about an alleged Crybaby Bridge on Jacoby Road, which I didn’t currently have listed. Long story short, through a series of messages between Lori and myself, it would appear that the Jacoby Road bridge was the original location of the Crybaby Bridge story. And when that bridge was demolished, the story migrated a few streets over to the Hyde Road bridge, where the current legend resides. So apparently there’s a monkey running loose in the village of Minerva Park, Ohio. Not just any monkey, mind you. A howler monkey. That’s right, a howler monkey. How are such things possible? Not sure, to be honest with you. But let’s see if we can at least shed a little light on the subject. 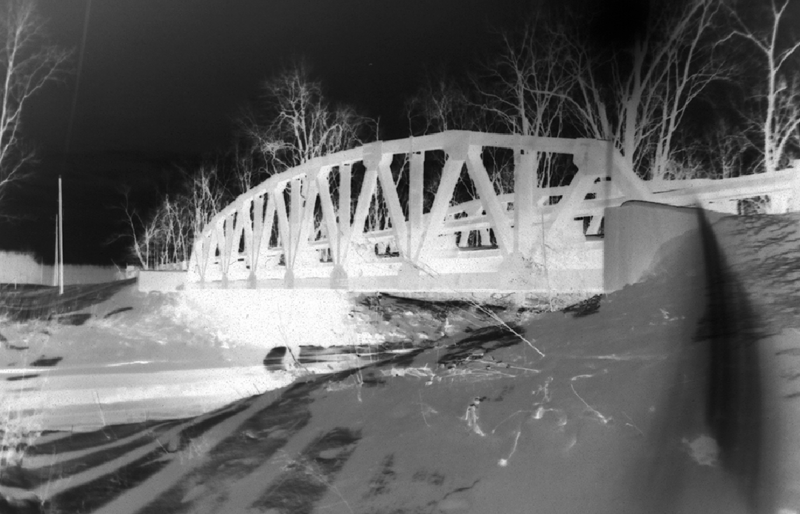 Come now, you really didn’t think we could compile a list of Ohio Crybaby Bridges and NOT include Helltown, did you? If you’re unfamiliar with the legends of Helltown, give that link a little click and get yourself caught up. Suffice to say, the legends associated with Helltown have become so engrained in Ohio ghostlore that dare I say they’d rank near the top of any list of Ohio’s spookiest locations.